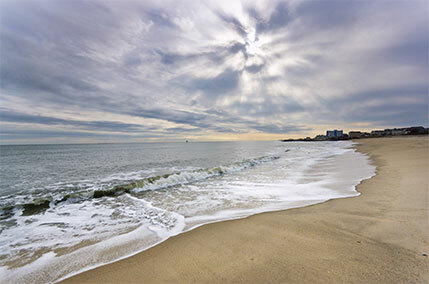 Bethany Beach, South Bethany and Fenwick Island are popularly known as “The Quiet Resorts”. Assisting Bethany Beach’s reputation as a “quiet” place is the presence of Delaware Seashore State Park immediately to the north of the town. Despite its small size, Bethany Beach boasts the usual attractions of a summer seaside resort, including the short Joseph Olson Boardwalk, a broad, sandy beach, motels, restaurants, and vacation homes. Because Bethany Beach does not sit on a barrier island, residential areas continue some distance to the west of the town’s limits. The town is bordered to the east completely by free public beaches, all guarded seasonally by professional lifeguards known as the Bethany Beach Patrol. The beach patrol, which consists of 30 members, is on duty daily from Memorial Day weekend to Labor Day and on weekends in September.